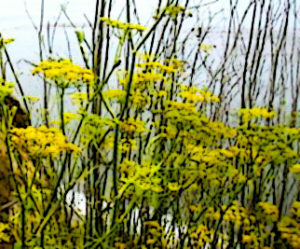 Our report on the top 7 invasive weeds in the SF Bay Area was re-worked from one I posted in 2016 weeds typical in the San Francisco Bay Area including the most invasive weeds. 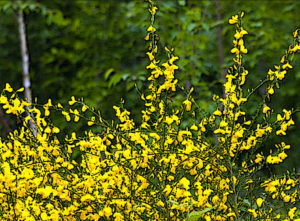 The top 7 invasive weeds is focused on the worst for good reason. This summer promises to be hot. Some of the top 7 are highly flammable. Our treatment options for getting rid of the top 7 emphasize the least toxic solutions. Hand pulling or mechanical means for some, at the right time, can be effective. We suggest a combination of prevention, mechanical or biological means. Sometimes a chemical solution is necessary, but only that is so. 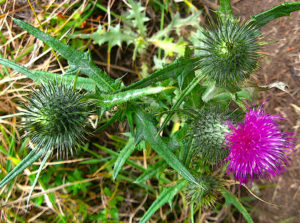 The results of 2018’s on and off rainfall and intermittent heat waves have seen a prolific crop of bull thistle (pictured above) and oxalis. See the full report on managing weeds. It includes 13 weed types, prevention and control. The right plant in the right place sounds simple but makes all the difference. Healthy vigorous plants have the best chance of out-competing weeds. Make sure that plants are healthy by feeding the soil with organic products including mulch and compost. We recommend drip because the water goes directly to the root of the plant, not in between them. Spray irrigation can encourage weed growth. Remove these plants from your garden! They damage our ecosystems by leaching nutrients from native species. Some are highly flammable and at the same time consume valuable water. Plentiful in forests or wooded areas. They spread along roads and appear like small trees. Despite their pretty flowers they are toxic to humans and animals. BEWARE. They are fire hazards. With a hot dry summer coming , get rid of these. Crowds out desirable species by leaching nutrients. Seeds spread by wind and competes with other plants for nutrients. They will displace native plants in coastal areas. BEWARE – This plant is also considered a fire hazard. Hand pull when soil still wet. Dig out as much of the root as possible with shovels, hand picks. Mowing needs to be done at the right time or will encourage seed growth. Showy purple blooms and sharp needle-like leaves. Grows where soil is disturbed. Spreads rapidly. Leaches nutrients from desired plants. Forms a dense blanket over desired plants. 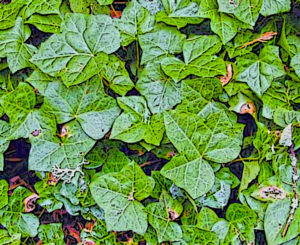 Distinguishing from less invasive ivy is difficult. They choke off nutrients from understory vegetation, kill trees, harbor rats and snails. Requires precision as every stem must be removed. Removing around the perimeter of a patch. Because removal is complex cutting and using herbicide may be advised. Don’t confuse this with native blackberries! Natives are smaller and don’t tangle and sprawl. 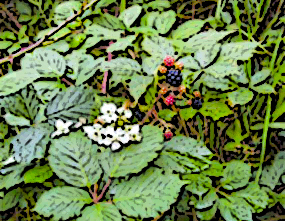 The Himalayan Blackberry grows in dense thickets, covered in thorns. Highly invasive and difficult to control. They leach out nutrients from desired plants and shade out light. Unfortunately, treating with concentrated herbicide is one of the best ways. Vinca Major leaves are broader, larger; heart shaped. 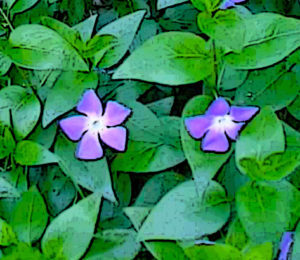 Vinca Minor leaves are smaller, elongated. Major is a pest. They root wherever their stems touch soil. They spread rapidly in shady creeks; drainage areas. And, they choke off natives. Cutting and treating with an herbicide is effective if all else fails. Seeds are prolific. They move from landscaped areas to natural areas. Pieces of the plant can be washed into storm drains. They form a dense mat which can harbor rats and contribute to soil erosion. 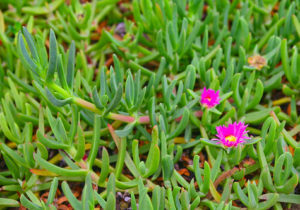 Research has shown that where they root, ice plants make long term changes to the soil. species returned. But natives were less abundant. Hand puling is effective, just do it early.